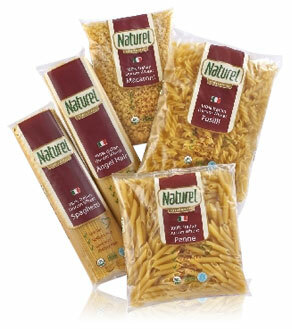 Naturel's organic pasta is made from 100% Italian durum wheat, which is synonymous with quality Italian pasta. The wheat undergoes traditional slow grinding and a long drying process. The result is a pasta fuller in taste with better mouth-feel. Available as Spaghetti, Angel Hair, Penne, Fusilli and Macaroni.